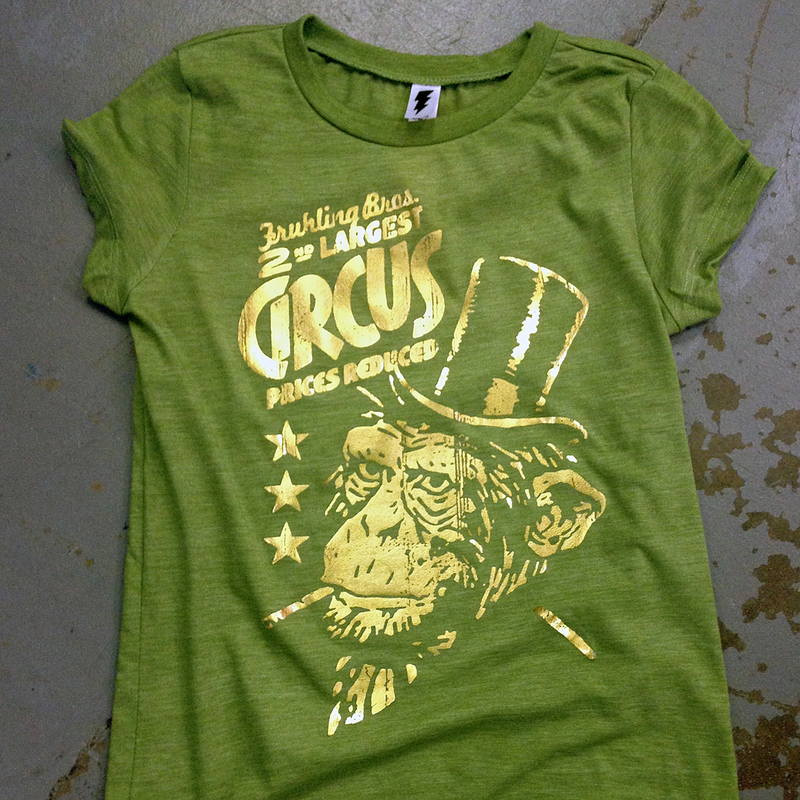 Foil printing is the best way to make your t-shirt designs pop. Sometimes called mirrored ink, foil is a great option to subtly accent an otherwise flat design or to create a loud, bold statement. Either way, mirrored foil gives a lot of added value to your designs for a little bit more cost. Printing with foils is a precise method which we have spent years perfecting. It is a premium print which needs to be executed correctly. Our foil prints are professional and hold up against the biggest retail name brands on the market. In fact, Superluxe foils often look better. Gold Foil on this TMCP design really brings it to life.